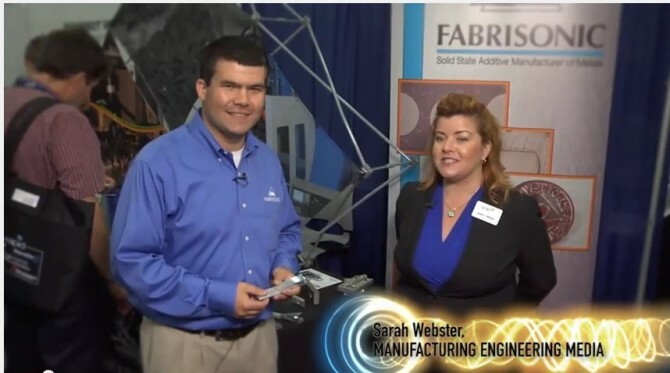 Sarah Webster, from Manufacturing Engineering Media, stopped by Fabrisonic’s both at RAPID 2014 last month. Fabrisonic President, Mark Norfolk, was interviewed about our metal 3D printing technology. The video includes information about the metallic properties, our hybrid process, customization for customers and much more. Click HERE for the direct link, or go to YouTube and type in “Fabrisonic CEO”.